In A Monk in the World we are learning the values, teachings and principles of Christian monasticism and how we can apply them to our lives outside the monastery walls. Today we’re focusing on the Prayer of Lectio Divina. Lectio divina which means “holy or divine reading” is an ancient form of prayer using Scripture as the voice of God to our heart. This type of prayer is simple in concept but powerful in practice, taking us deeper and deeper in our relationship with God. 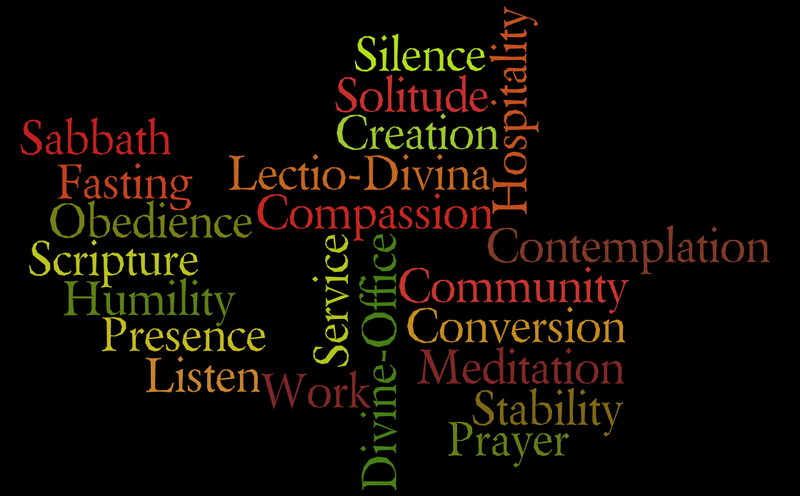 There are various takes on the practice of lectio divina. We are going to use the one I’ve learned from my resources listed below. Before beginning any prayer time we must find a quiet place to sit with the Lord. Focusing on our breath, we prepare to listen as the Holy Spirit brings openness and guidance. LECTIO: (Latin for reading) In this step we read a section of Scripture slowly, savoring each word as a delicious morsel that will nourish our soul. It’s helpful to read the passage aloud watching ever closely for a word or phrase that shimmers in our heart. MEDITATIO: (Latin for mediation) Here we take the phrase that caught our heart’s attention and ruminate on it through repetition and reflection. As we chew on the given text we connect it with our life situations. ORATIO: (Latin for prayer) In this next step we actually begin our conversion with God, our closest friend and confidant who we can share anything with. Here we may find much needed joy and gratitude; a renewal of hope and trust. CONTEMPLATIO (Latin for contemplation) Here we stop doing and just be, we still our hearts and minds, find rest in God’s loving arms as His precious child. We may continue our reading or end our prayer with thanksgiving. I hope you will enjoy the practice of lectio divina. I’m looking forward to putting it more into practice for myself this upcoming year.